April showers bring May flowers, but they also bring those slimy pests, slugs and snails. 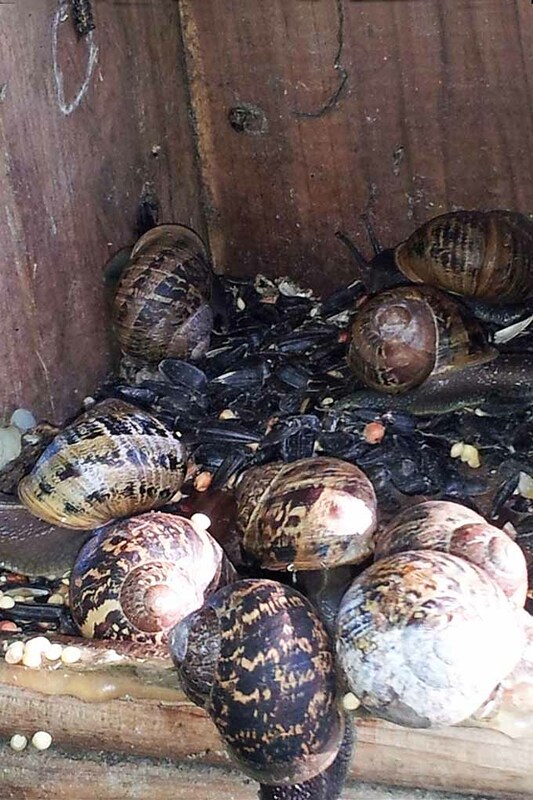 Snails have taken over the birdhouse! Photo by Deb Sanders. Raiders of the night, they have a discerning appetite for succulent foliage and flowers. 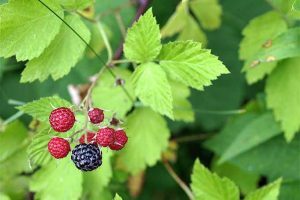 And from dusk to dawn, they can make short work of leaves, flowers, soft herbs, vegetables, seedlings, tender green bark, and ripening fruit. 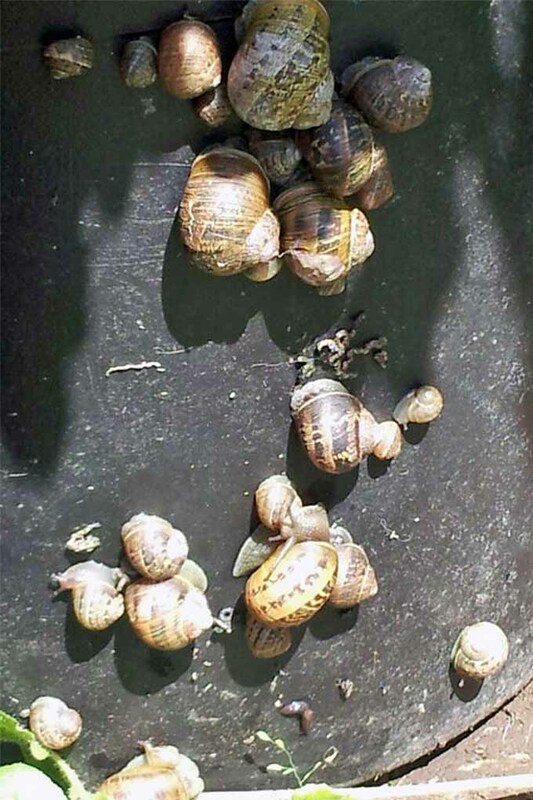 On our Gardener’s Path Facebook page, Deb Sanders, one of our readers from Oregon, wrote of her troubles with a snail infestation. The armored gastropods are so prevalent in Deb’s garden, she can’t grow veggies, and her bird feeder station is overrun with the sticky critters. Worse yet, they hide under the rim of her containers, resulting in handfuls of slimy, squished snails when she moves them – ugh! Now that is gross! 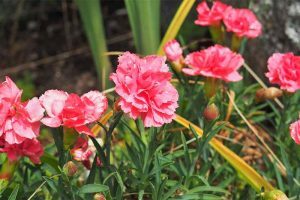 Plus, because of the many visiting birds and outdoor pets on her property, Deb is looking to control these pests in a safe and environmentally friendly manner. I feel your pain, Deb! 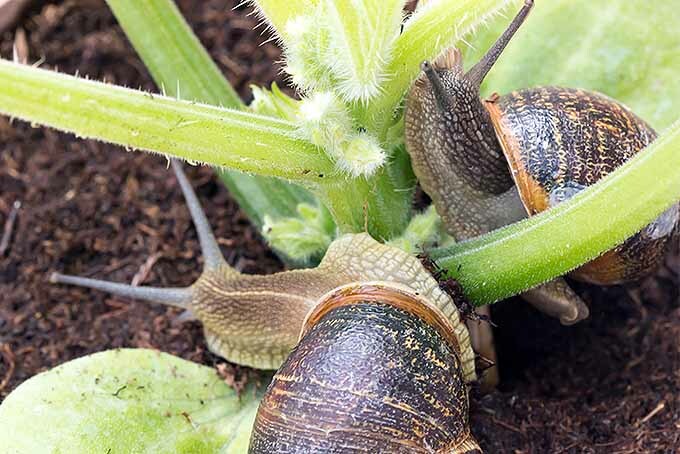 My garden’s a little further north than yours, and I know firsthand just how fond snails and slugs are of the lush, moist environment of the Pacific Northwest – and many other regions too, of course. Over the years, I’ve tried a variety of tricks and products to control these pests. Some work well, others don’t; some are safe for other garden creatures, while some are deadly to all. In my experience, management of slug and snail infestations is most efficient when a combination of tactics is used. Baiting and trapping make it easy to remove the creepy cousins, and barriers prevent them from accessing your plants. 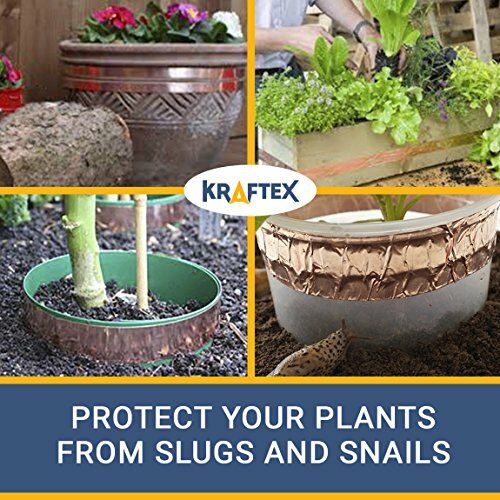 Let’s have a look at the best, and safest, suggestions for controlling snails and slugs, so you can enjoy your garden again! Not all nighttime marauding is caused by gastropods. 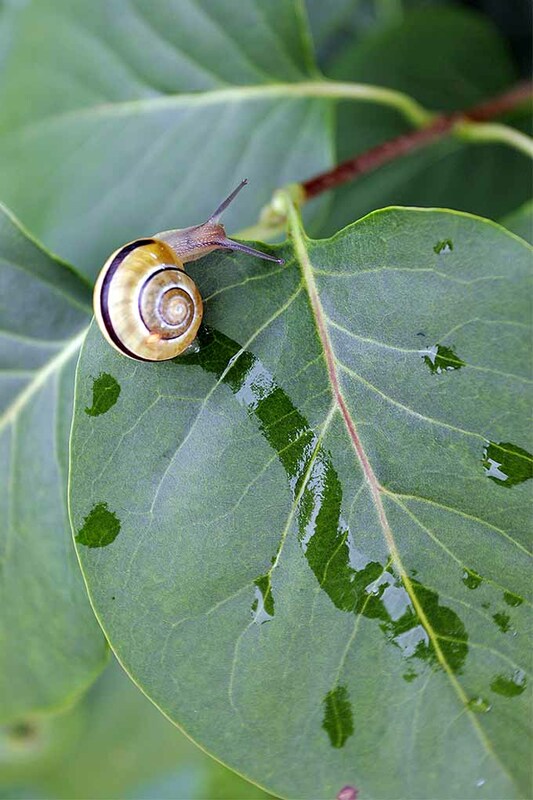 An easy clue to determine who’s causing the damage is by the telltale trail of shiny mucous they leave behind – if a slime trail is present, you know the culprit is a slug or snail. Snails and slugs both belong to the mollusk phylum, and have similar bodies and biology. The primary difference between the two is that slugs are without the snail’s external spiral shell. They both propel themselves with a muscular “foot” that continuously secretes a slimy mucous to help them glide, and both thrive in similar environments. Native to Western Europe and the Mediterranean, they’re now found in temperate and semi-tropical regions worldwide. Both species prefer cool temperatures and are most active at night, or on overcast days. 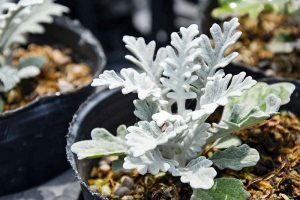 On bright, sunny days, or when temperatures are high, they’ll seek cool, shady havens to beat the heat and bright light. In cold weather, they’ll hibernate underneath any debris that provides shelter, or burrow into topsoil. 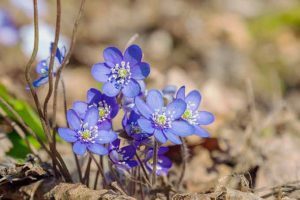 But in areas with mild winters, they can be active year-round. 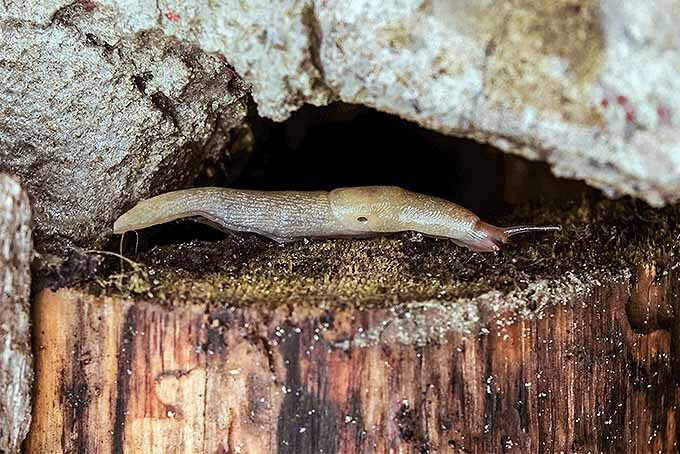 A good starting point for your slug and snail management program is to disrupt and remove their daytime hidey-holes, to the greatest extent that you’re able to. 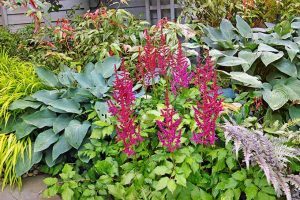 Preferred hangouts can be a tall stand of weeds or the underside of just about anything on or close to the ground – particularly in moist, shady areas. Underneath boards, garden decor, planters, ledges, decks, low-growing branches, pot rims, debris, and protective ground covers are all prime real estate for gastropods. 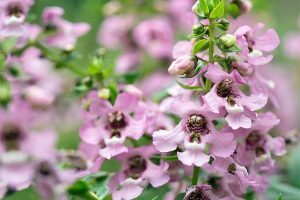 To disrupt their environment, undercut low branches, burn weeds with a weed torch or trim weeds close to the ground, and remove any unnecessary material they can hide under. 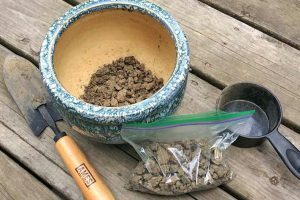 Obviously, some areas like rock walls, decks, meter boxes, permanent bird feeders, and so on can’t be removed – but these spots make good locations to bait and trap. If you have the stomach for it, handpicking is an effective option when practiced diligently. 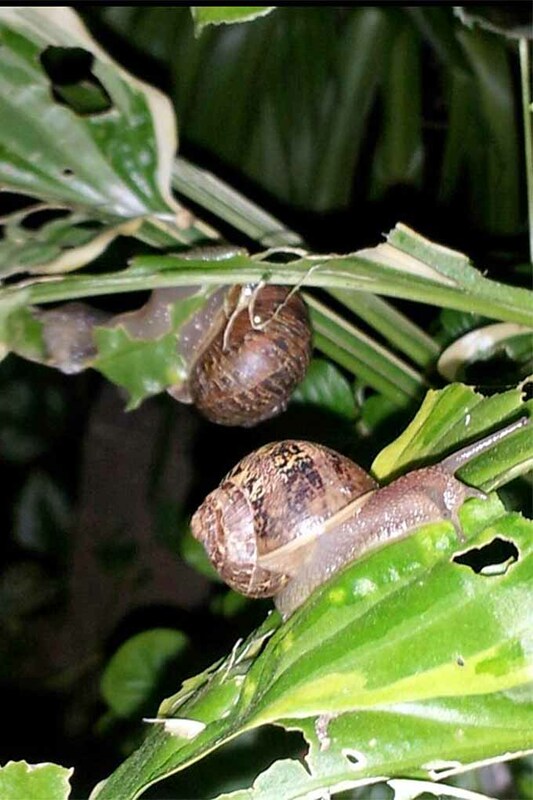 To lure slugs and snails, water any infested areas at dusk. After nightfall, use a flashlight to hunt them down, pick by hand, and dispose of them – you’ll definitely want to use gloves for this option! You’ll need to do this nightly until their numbers are decimated, after which a weekly foray should suffice. 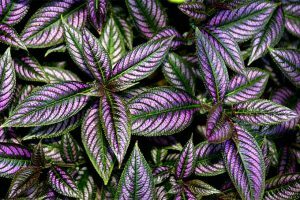 Once caught, you can dispatch them in a bucket of soapy water or by spraying with a solution of diluted ammonia. One part ammonia mixed with 10 parts water in a spray bottle will do the trick. 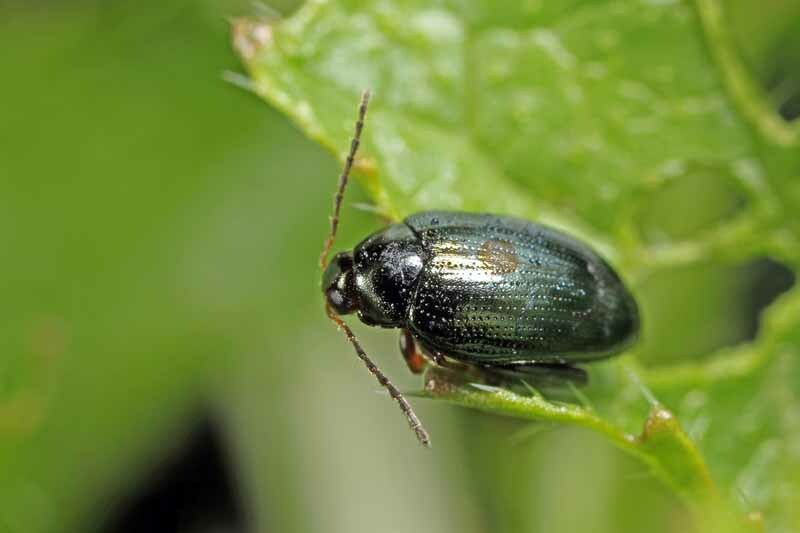 A good point to remember is that to bait gastropods is to attract them – so keep bait and traps a safe distance from any plants you want to protect. 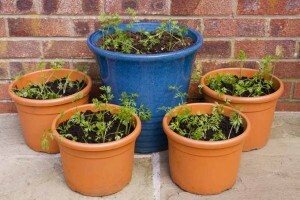 Simply fill a shallow container with beer and sink it into the soil, then leave overnight. Slugs and snails are attracted to beer, glide over for a sip, then drown in it. Remove the corpses in the morning, and refresh with their favorite suds! 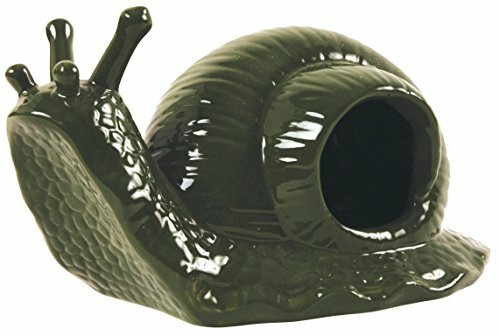 Containers can be as simple as a plastic deli dish, or you can opt for something a bit more decorative – like this cute ceramic snail. Create a welcoming environment for slugs and snails to hide under in the daytime with any flat object, or anything that makes a nice gastropod den. A piece of plywood, thick dark plastic, pot saucers, overturned containers, or anything that will provide cool shade will work. The rinds of citrus (like oranges and grapefruit) and melon halves make an alluring den for them as well. 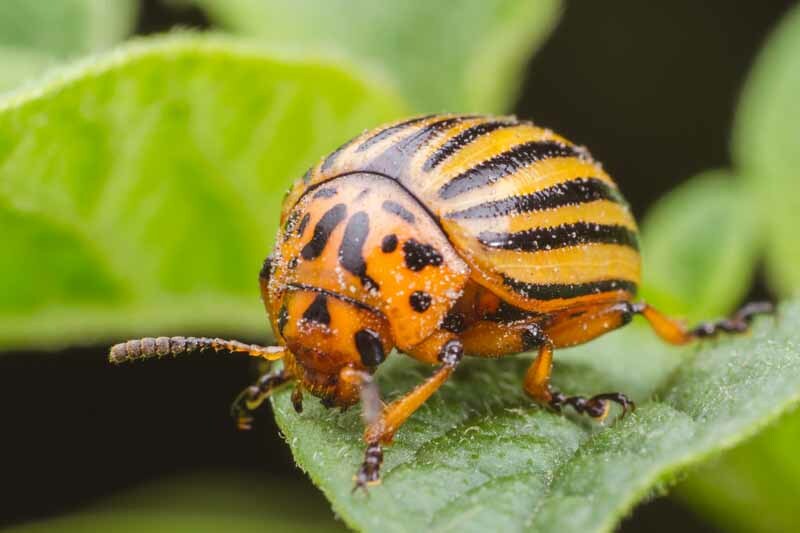 Water the area first, lay down the trap material, bait with a piece of leaf lettuce if needed, and return in a day or two to remove and destroy the crawly critters. 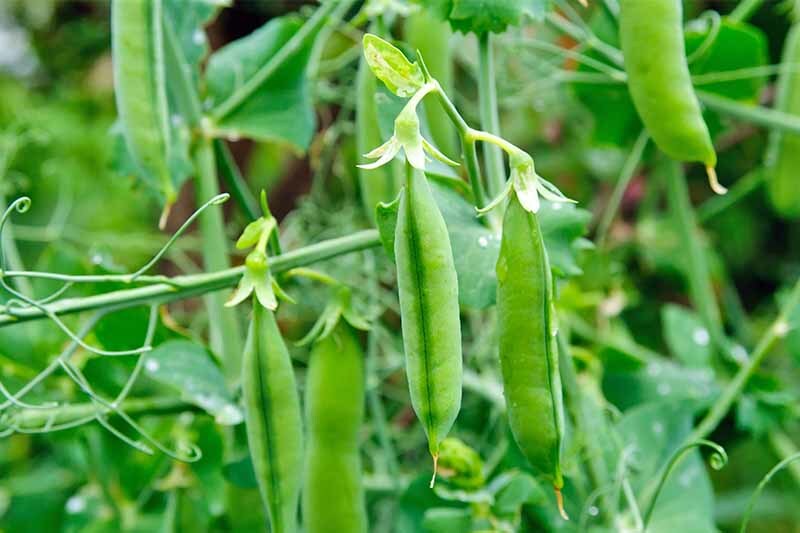 A variety of repellents can be used to divert gastropods away from plants you want to protect. 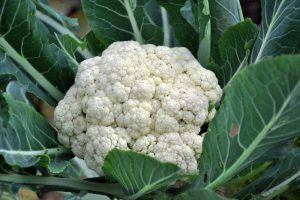 Researchers in the UK have found that garlic oil applied to the soil around crops will repel gastropods, and it kills those that come into contact with it. An effective method for small-scale gardens is to crush garlic cloves (lots of them – easy to come by if you grow your own!) and lay them around the perimeter of the at-risk area. The natural salts that form from oxidizing copper also act as a repellent. Uncoated copper flashing, banding, and mesh are all suitable options to lay around any area in need of protection. An adhesive copper tape, like this option available on Amazon, is a good option as it stays in place nicely, maintaining the barrier. 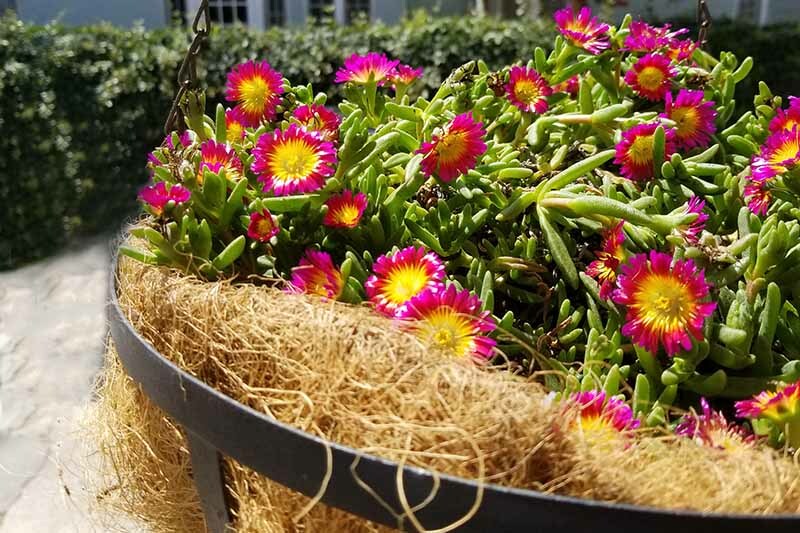 As the underside of planter rims is a favorite hiding spot, smearing this area with a mixture of Vaseline and salt will act as a repellent. Scientists have recently found caffeine to be highly toxic to snails and slugs. 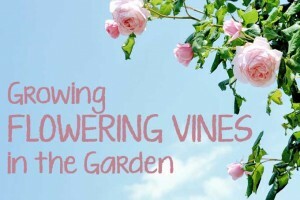 For use as a repellent, sprinkle used coffee grounds (full caffeine, not decaf) around the edge of flower and veggie beds. Gastropods have delicate tummy tissue, and any sharp materials will irritate and potentially cut their tender undersides. 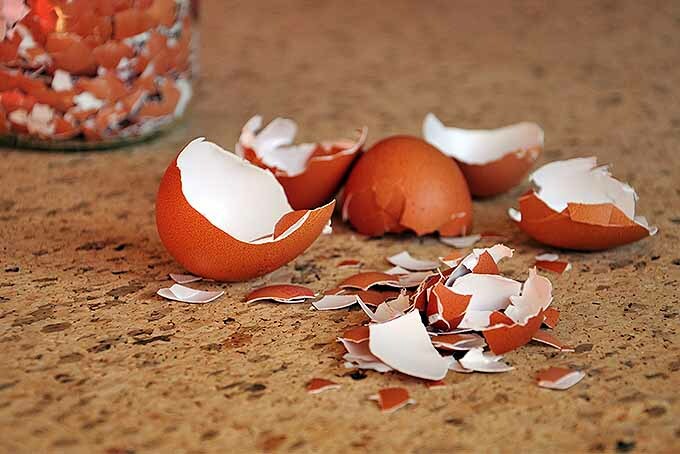 For an extra layer of defense, build a small berm at least three inches wide with fine stone chips, crushed egg shells, diatomaceous earth (DE), or crushed oyster and clam shells. Diatomaceous earth is derived from silicon dioxide and has sharp, abrasive edges. But it must remain dry to deter gliding gastropods. Use food grade DE, not the material used in aquariums (which has smoother edges), and follow instructions when applying. For combating gastropods, my personal weapon of choice is beneficial nematodes. One hundred percent natural, nematodes are naturally occurring microscopic worms that are mixed with water for application. 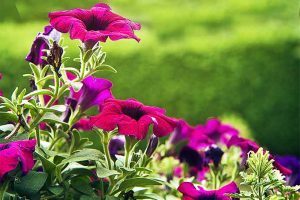 The best times to apply nematodes are once soil temperatures have warmed up in spring, and after intense summer heat has ebbed in late summer/early fall. They won’t kill adult snails or slugs, but once applied to the soil, nematodes enter the gastropods’ eggs. They then release bacteria that kills the eggs, then feed off the eggs and reproduce before moving on – with an effective killing rate of about 90 percent. People, birds, pets, and helpful insects such as bees, ladybugs, and earthworms are completely resistant to these hardworking microbes. 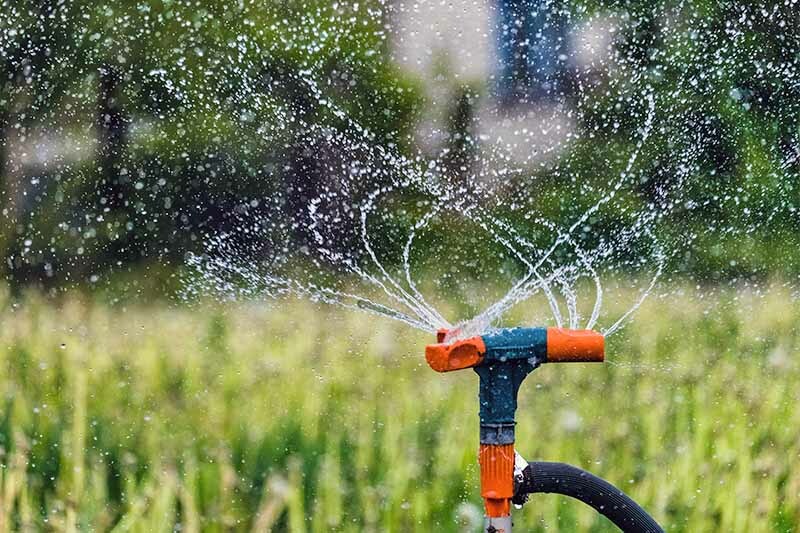 Nematodes move swiftly through pre-moistened soil, and can be applied with a hose and sprayer or with a watering can for smaller areas. You won’t see immediate results with nematodes, but the following year you’ll notice a significant reduction in the slimy herbivores. For best results, make three consecutive applications – spring/fall/spring, or fall/spring/fall. After that, an application once every 18 months will keep gastropod numbers at bay. Timing is important with this method. A package contains approximately 10 million live nematodes, and if you don’t plan on using them immediately, they need to stay refrigerated until application. In the package, they have a limited shelf life. 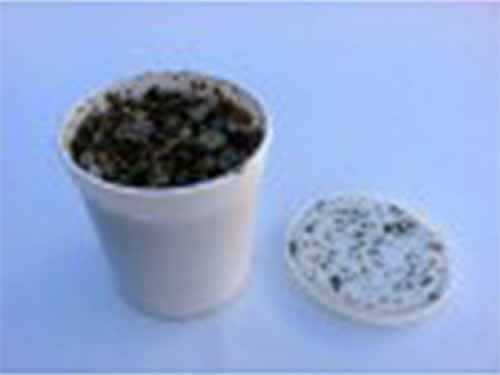 Nematodes can be purchased online, at GrowersHouse.com. 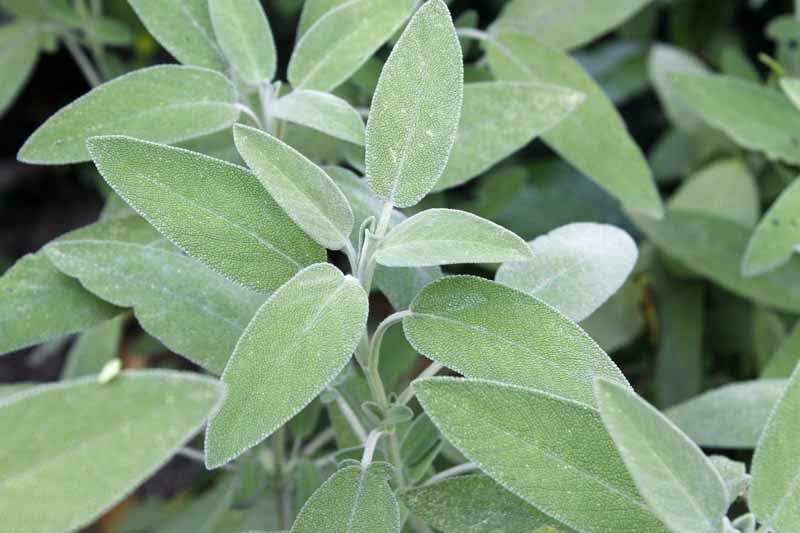 Before purchasing them, ensure soil temperatures are adequate, and that you’ll have the necessary time available for application. Natural predators will also do their fair share in keeping slug and snail numbers down, provided you have a welcoming environment – which usually means no cats or dogs to chase them away. 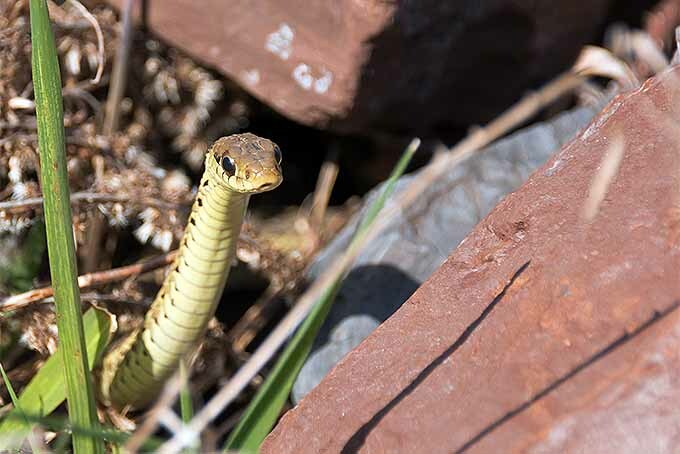 Some predators known to feast on gastropods include frogs and toads, garter snakes, lizards, hedgehogs, moles, thrushes, blackbirds, magpies, and rooks. They say revenge is a dish best served cold, but I like my escargot served piping hot with plenty of garlic and butter! If you have snails in the garden, chances are they’re the common, or brown snail, Helix aspersa (a.k.a. Cornu aspersum) – one of three main species used for escargot, along with H. pomatia and H. lucorum. Brown snails have a soft, beige or brown body with a cream or yellow shell and brown spiraling stripes. When mature, they measure approximately 0.75 to 1.25 inches high, and about the same, or slightly larger in width. 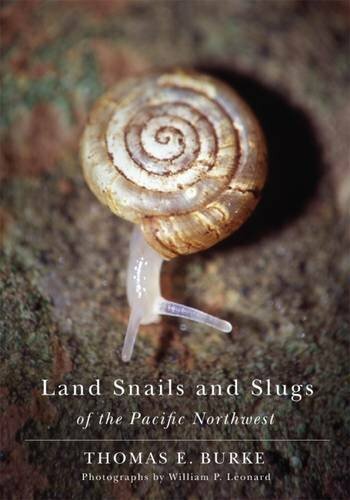 If you’re not sure how to identify them, you can always pick up a reference book for your region such as Land Snails and Slugs of the Pacific Northwest by Thomas E. Burke and William P. Leonard, available on Amazon. Collect them at night (see Handpicking above) and place in an escape-proof bin. 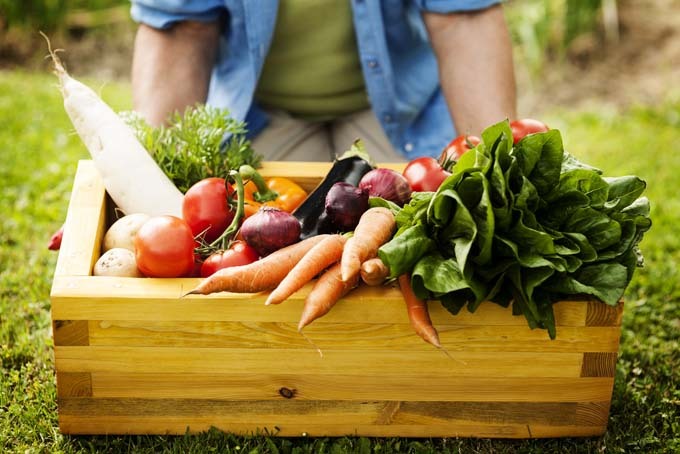 Sweeten them for one week with a diet of people-friendly food like lettuce, basil, carrots, melons, apples, and so on. This will improve their flavor and clean out their digestive tracts. After sweetening, purge for two more days with no food or water. After purging, place the snails in a lidded quart jar and put them in the fridge for about an hour – this will put them into a deep sleep before cooking. To cook, par-boil for three minutes, drain, and remove shells. Rinse in water, followed by a bit of vinegar. Then prepare the little buggers following this delicious recipe for Bourguignonne escargot from our sister site, Foodal.com. This is karma at its sweetest! 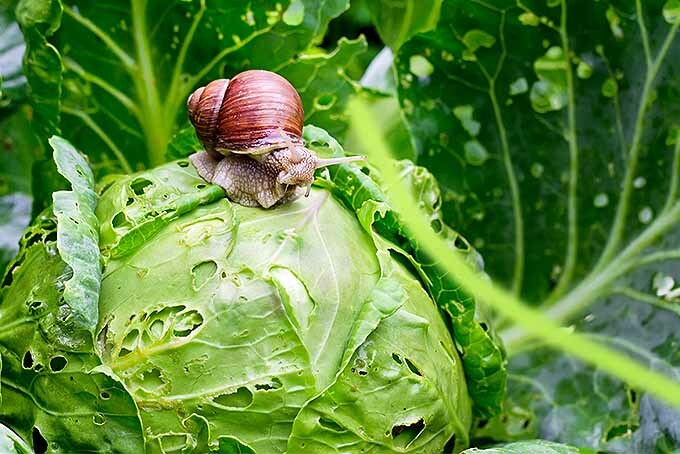 Of course, if you do plan to use this particular method of gastropod management, your garden should be free of all pesticides – including the so-called “safe” slug and snail baits. At present, there are three different types of commercial slug baits sold in North America. 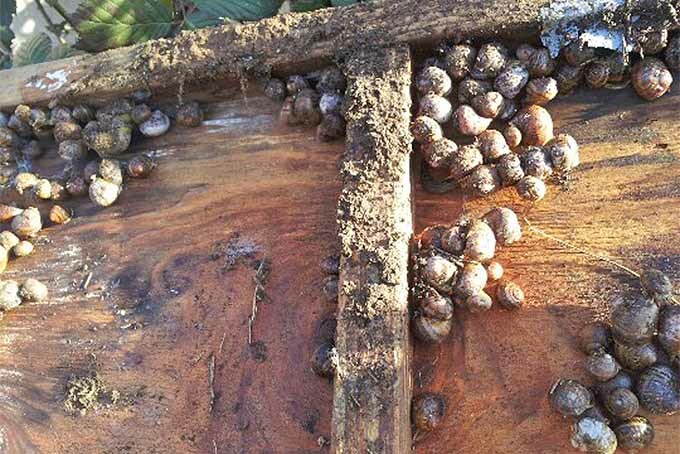 The traditional molluscicide in use since the 1930s uses metaldehyde, which has a highly toxic profile for pets and wildlife, and can find its way into waterways during heavy rainfalls – not a great option for anyone who’s looking for a safe, ecologically sound method to limit gastropod damage. In the mid-1990s, a new molluscicide (available under various brand names) arrived on the market that uses iron phosphate as the active killing ingredient. 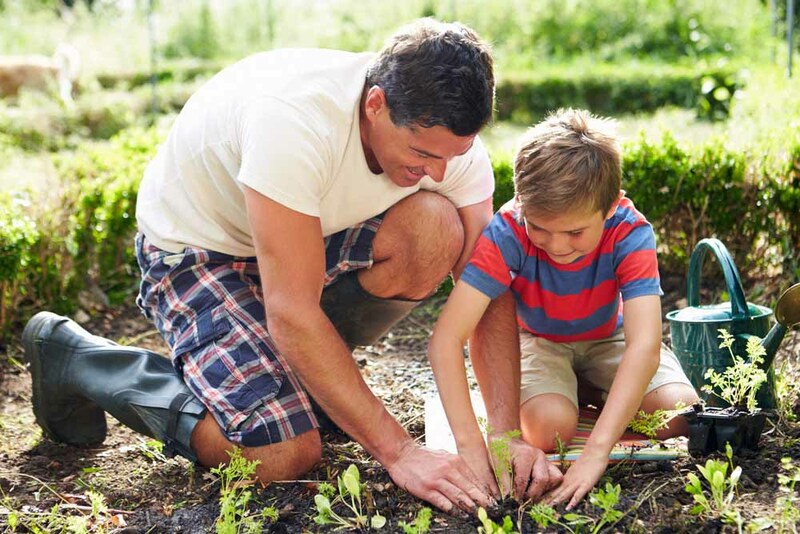 According to the EPA, iron (ferric) phosphate is considerably less toxic to pets, birds, worms, and other garden friendlies, and is generally regarded as safe (GRAS). 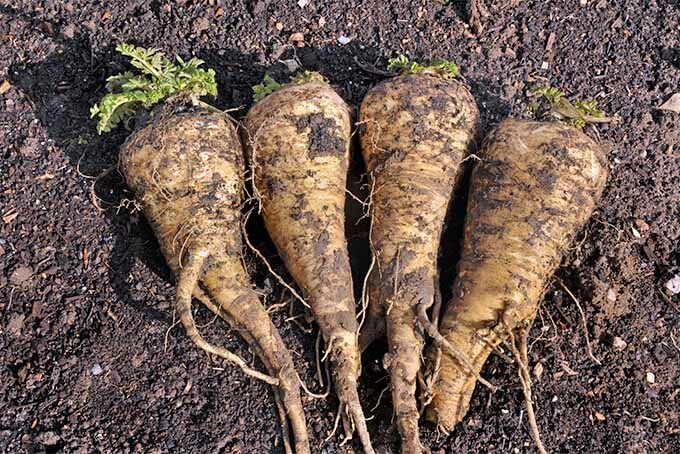 But, it’s also fairly slow acting and can take up to a week to kill gastropods. To speed up the killing action, an inert ingredient known as ferric sodium EDTA (sodium ferric ethylenediaminetetraacetate) was added to some iron phosphate baits – and is also sold as the primary killing compound in other brands. However, ferric sodium can be toxic to pets and wildlife such as aquatic arthropods, and should not be used in or near aquatic environments. If you do choose to use commercial baits, read the label carefully for toxic ingredients, and follow application instructions closely. And consider taking steps to keep pets away from these baits. 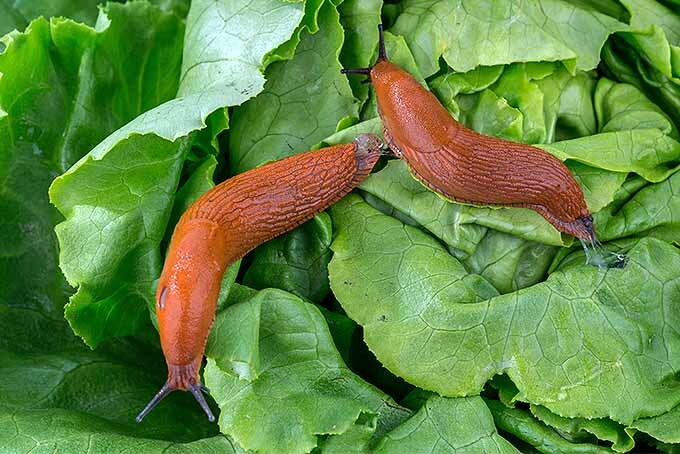 Slugs and snails are persistent in their foraging, so you’ll need to match their efforts. 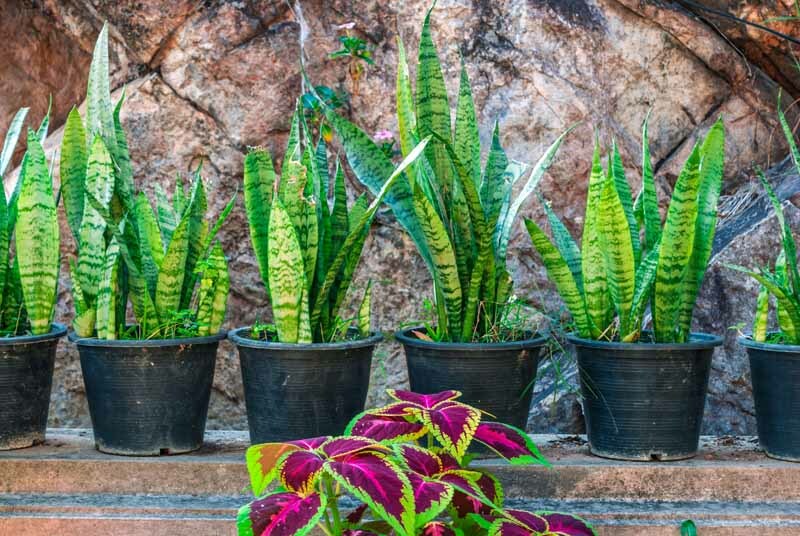 Use a combination of traps and bait, handpicking, barriers, repellents, and predators to effectively control their environment and routines – and your plants won’t be bothered by the gooey little pests again! Thanks for reaching out with your concerns Deb, and for the photos of those nasty snails – it was a great topic idea! 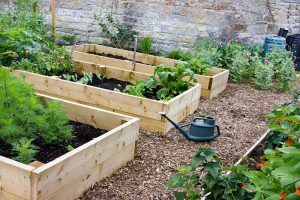 What about you folks, do you have any garden problems or questions you’d like to see addressed in an article? If so, drop us a line in the comments below, or on our Facebook page. 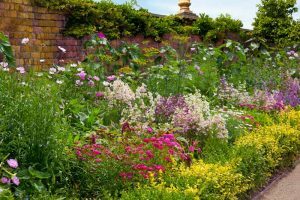 We love providing solutions to your gardening concerns, and have a host of experienced and expert writers to help you out! Photos by Deb Sanders. Used with permission. Uncredited photos: Shutterstock.